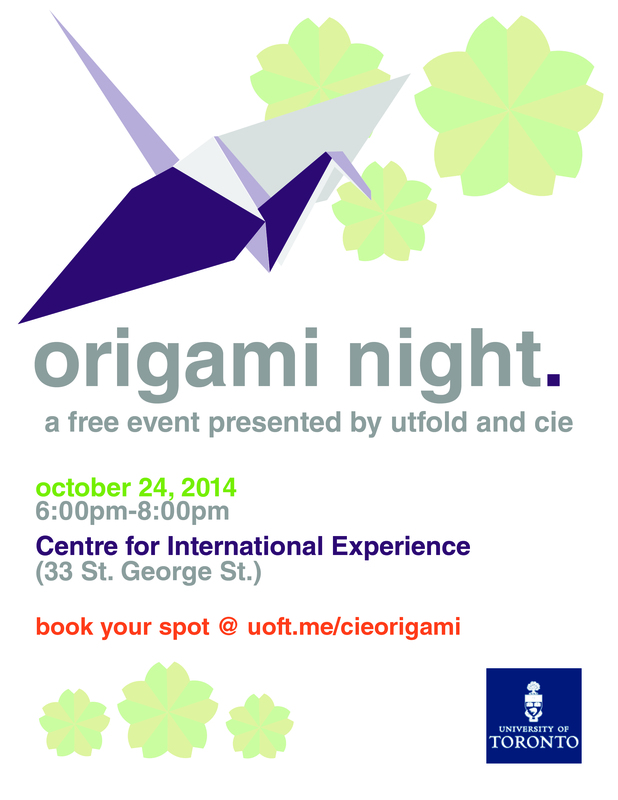 We are co-hosting an Origami Night this Friday with the Centre for International Experience at the Cumberland House! This will be a great chance to meet with international students who have chosen to come to UofT and get to know them over a fun workshop. We hope to see you there! Space is limited, book your spot here!